A powerful, user-friendly and easy-to-use data recovery software with precise algorithms and scanning technology, Gihosoft Free Android Data Recovery is available on Windows and Mac computers. With it, you can recover all types of data, including contacts, messages, call records, photos, videos, music, WhatsApp and Viber chat histories, etc., which may be lost due to device rooting, accidental deletion, software crash, factory reset, virus attack, system upgrade, or other reasons. 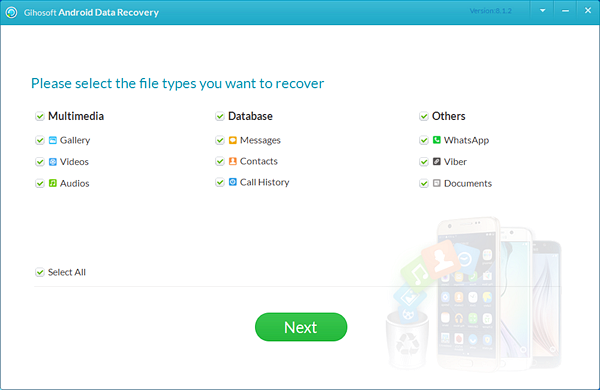 To use this free Android data recovery software to recover deleted files, you will have to first download it on your computer. Then, you need to connect your phone to the computer and open the software. Select the file types that you want to recover and hit Next. Scan for the files that got deleted. The software will show all the files that you lost and then you can manually select the ones that you want to recover. Hit recover and wait until the process is complete. Another popular free data recovery software that can be used to restore deleted files, Dr. Fone for Android supports HTC, Samsung, Google, LG, and Sony mobile phones. 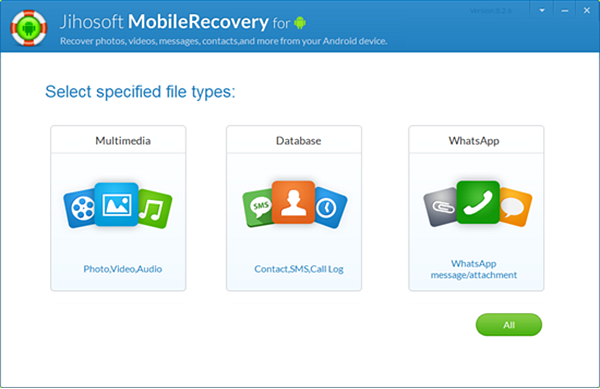 You can use it to recover deleted contacts, messages, audios, photos, and videos, Whatsapp chats, call history and documents. It supports Windows as well as Mac computers. You need to have at least 200 MB of free hard disk space to download the software on your computer. Dr. Fone for Android is also available as a paid software, which offers amazing features like a recovery of voice mails, thumbnails, reminder, notes and attachments, Safari’s bookmarks, calendar and important dates, app videos, and voice memos. A highly-efficient Android data recovery tool, Jihosoft Android Data Recovery software has one of the highest data recovery rates and supports Samsung, HTC, Sony, Huawei, LG, Motorola, and Google mobile phones. To know how to recover deleted files from Android, take a look at our guide. You have to start by downloading the software and installing it on either Windows or Mac computers. 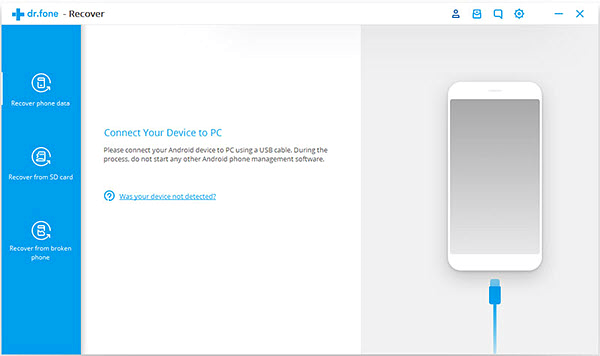 Connect your Android phone to the computer using a USB cord. Scan for lost files and select the ones that you want to recover and click OK. This software recovers WhatsApp and Viber chat history along with messages, photos and videos, contacts, and call logs. If the software isn’t able to discover the phone, you will have to enable USB debugging. Go to Settings > About Device > tap on Build Number five to seven times. It will activate Developer options. Turn on USB debugging and your phone will appear on the software windows. 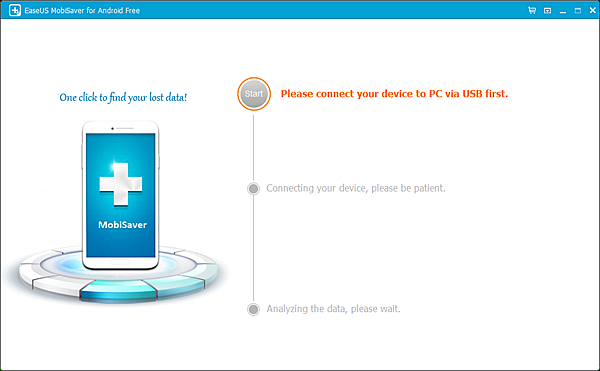 One of the best Android data recovery software in the market, EaseUS MobiSaver for Android offers free and pro versions. 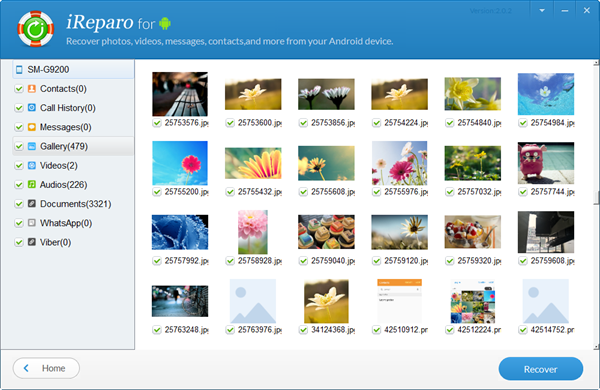 Like the name suggests, the free software offers limited features and you can only retrieve one photo, message, or contact at a time with it. When you purchase the Pro version, you receive a single PC license. The software restores an unlimited number of videos, photos, contacts, messages, and other files at once. You can download either of the versions on Windows or Mac OS computers. The Android data recovery app also offers free unlimited upgrade and technical support. It is one of the fastest recovery software and recovers all data in just two minutes. The app also downloads and installs almost immediately, which saves you a lot of time. EaseUS MobiSaver also offers iPhone data recovery features. Both versions support over 6,000 types of Android mobile phones. A data recovery software for Android mobile ideal for professional use, iReparo for Android recovers data that was lost either because of accidental deletion, broken screen, bootloader unloader, factory reset, root failure, and ROM to Android flashing. 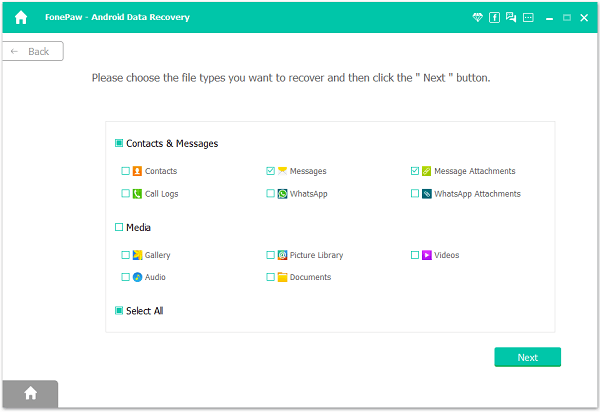 After you recover deleted files using the software, you can also print WhatsApp and Viber chat history, SMS, contacts, and call log in HTML, CSV, or text formats. The software is a 100 percent safe to use and none of your existing data will be overwritten during the scanning and recovery process. It is a professional service and they have technicians on call round the clock to help you out. When you purchase the pro version, you can recover files any number of times. It supports Windows 10, 8, 7, Vista, and XP and Mac OS X 10.7 0 10.10. The software’s website offers an elaborate blog feature that offers information on different topics like Android Night Mode, ADB, SD Card, and Whatsapp. 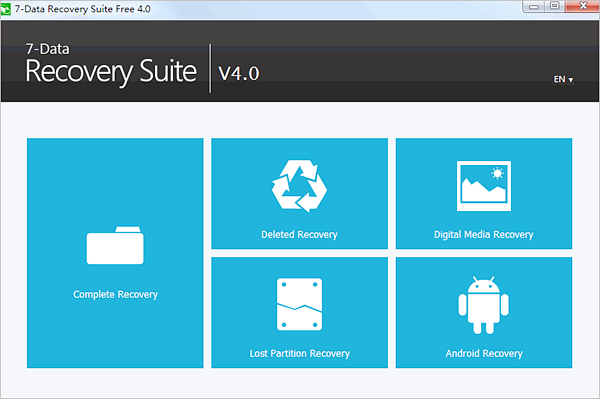 This is one of the latest but promising Android file recovery software in the market. It has a one-click mechanism for recovering data. The software is faster than any other one on our list. It will protect all the existing data on your phone and nothing will get overwritten. You can download the free version of the software to check the documents and files that you lost. You can recover data that you lost because of accidental deletion, rooting, virus attack, and operating system crash. It supports more than 6,000 types of Android mobile phones from Android 2.3 to 9.0. The software will recover lost data from SIM card, SD card, and internal memory. 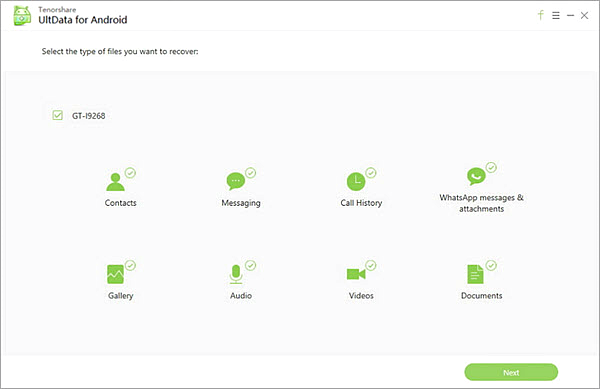 It offers two more features, which include Android data backup & restore and broken data Android extraction. UltData for Android is an Android data recovery tool offered by Tenorshare. It has one of the highest data recovery success rates and supports almost all varieties of Android tablets and mobile phones. It is a paid data recovery software but you can first download the free trial version to check if you like it or not. It can recover any type of data from the Android device including photos, videos, contact, text messages, and Whatsapp messages. Data recovery process has never been so easy as the UltData for Android gets work done in just three easy, non-technical steps. You can preview files before recovery so that you can select what you want to retrieve and don’t. A powerful Android data recovery software, 7-Data Recovery is relatively new in the market but has a great potential. It is a free software and can retrieve all types of lost data. The software can recover all types of photo formats including JPG, JPEG, PNG, and GIF. You can retrieve data from SD card, SIM card, and mobile phone. It can scan up to 500 MB of lost data at a time. After you recover it, you can run another scan until you completely recover all the files you want. Gihosoft Free Android Data Recovery is the best Android data recovery software you can find in the market. It is easy to use and recovers all types of data and supports a variety of Android phone versions. 7-Data Recovery and Dr Fone for Android are two of the most professional Android data recovery software. These software can help you recover data lost because of anything from an accidental deletion to a rooting failure. All the software mentioned are available for free but the features are limited. You can purchase the pro versions for more recovery features.